I thought long and hard what word I wanted to pick that started with a G.. Grace kept coming in my head.. 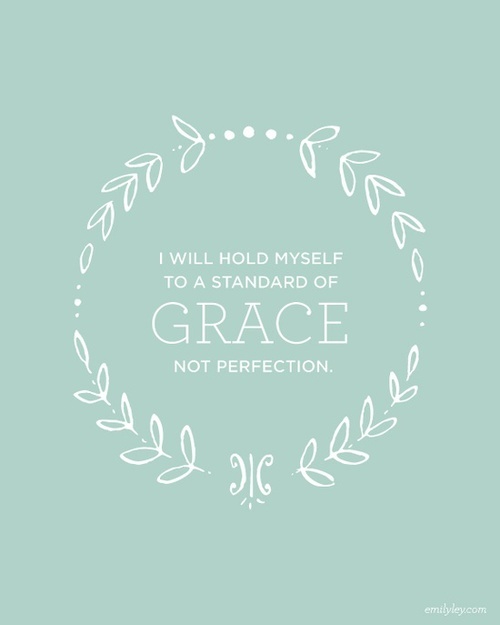 I really want to live with all aspects of grace in my life. Its been a hard year so far and we are only 4 months in...and when I search my ♥ I find that Grace is a trait I need to work on. Instead of falling apart at life's challenges, I need to be able to walk through it all.. head held high with [Grace]. Grace from God.. Grace from family.. Grace in every way. Think about that word..Do you have grace in everything you do? I doubt it.. I bet its something each one of us could work on.. and for me that is " my action" word.. because I am going to challenge myself to get closer to God.. be more graceful in my relationships with more love and kindness instead of doubt and judgement...And just make that word a big verb for me. I am a work in progress and I know that our time here is limited. I only have a limited amount of time to make a huge impact on my kids.. my family.. everyone. I want to live with that mind more. I am a pretty direct person.. and while that has served me well in the past...its not something I really care about anymore. Sometimes its been the wrong way to be too. There are certainly many times when I didn't have any grace about what I was saying or doing. I am not too proud of that either. Its my hope to take this one word and make a huge difference. If I put that word first.. before I do or say anything it could be life changing.